This summer, give your children an experience that they will never forget. 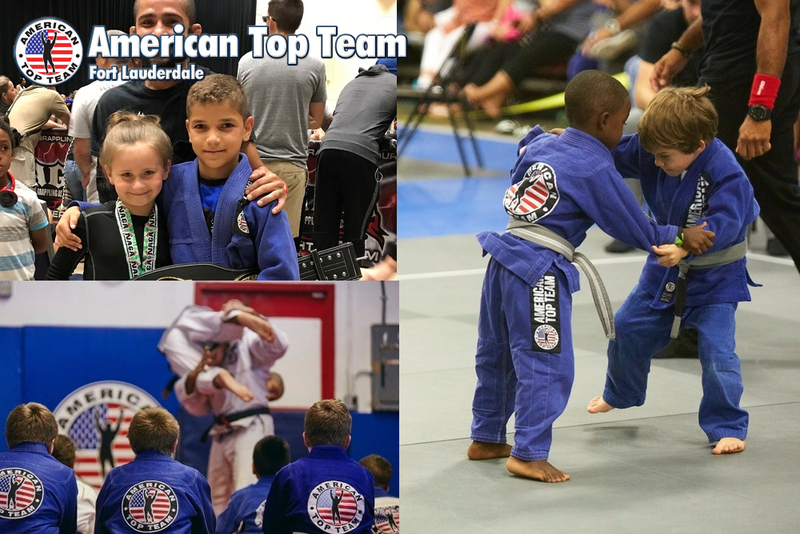 Day campers will spend their time learning and practicing jiu-jitsu and self defense with Master Junior Fernandes (ATT FTL leader and coach) and staff members. Master Junior Fernandes will help your kid learn more about Brazilian Jiu-Jitsu technique, the fun way! This camp is great not only for beginners but also for current students to learn fundamental techniques and improve competition skills. Our summer camp is for 4 -12 year olds and will include a variety of ground based jiu-jitsu techniques as well as take-down techniques including wrestling and judo, and modern style grappling. We will also include capoeira and muay thai training for the kids during camp. Give your kid the opportunity to improve his techniques this summer! Choose between 2 different weeks, or choose both and save! This camp is designed to promote the building of self-confidence for participants, to teach conflict-resolution strategies, application of self-defense techniques, and self-discipline to everyday situations while making new friends and having fun! The campers will not only acquire jiu-jitsu and self-defense skills but they will also enjoy the best exercise. Private classes cost $100 an hour with Master Fernandes, and your child will get his one-on-one attention for just $199 for an entire week! The skills your child will get from our summer camp will amaze you – both on and off the mat! For questions, please call Ana at 954-638-0860 or stop by the gym!